The field of machine vision, or computer vision, has been growing at a fast pace. As in most fast-developing fields, not all aspects of machine vision that are of interest to active researchers are useful to the designers and users of a vision system for a specific application. 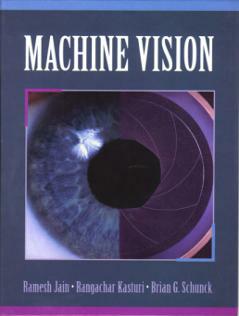 This text is intended to provide a balanced introduction to machine vision. Basic concepts are introduced with only essential mathematical elements. The details to allow implementation and use of vision algorithm in practical application are provided, and engineering aspects of techniques are emphasized. This text intentionally omits theories of machine vision that do not have sufficient practical applications at the time. This book is designed for people who want to apply machine vision to solve problems.